Werewolves, witches, and wicked tunes, oh my! The streets are lined with jack-o-lanterns of all characters and sizes which means one thing: Halloween is creeping around the corner. 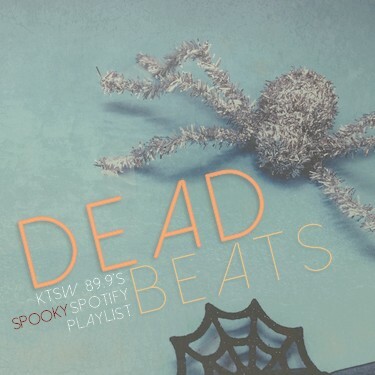 KTSW has lined up a spooky Spotify playlist of 14 killer tracks that are guaranteed to leave you wondering what went bump at night. With songs ranging from dream-pop legends, M83, Burger Records favorite, Summer Twins and reaching all the way to The Misfits’ cover of “Monster Mash”, there’s bound to be a song fit for any creature. This spooky-themed playlist is best fit for putting the finishing touches to your costume of choice, playing in your pocket while trick-or-treating, and everything in between.